Home Career Fashion Design Datails , Eligibility Critria , Subjects And Jobs . 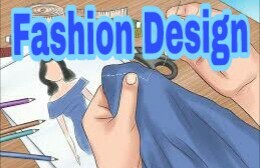 Fashion designing involve the study of the art of application of design and aesthetics or natural beauty to clothing and accessories .Fashion designing offers plenty of opportunities for enthusiastic, talented and hard working youngsters. Prospects for fashion design graduates are pretty good thanks to the huge and still growing demand for designer wear . Fashion designers work in a number of ways in designing clothing and accessories such as bracelets and necklace. A fashion designer visualizes, plans and implements a dress or attire including its fabric, texture, color code, accessories etc. The design is sketched before the dress is put in for stitching and all nuances like comfort, size, season etc are taken into consideration for the same.Creating a style, using the right fabric, the right cut and a good finish, the designer turns out either a singular creation (one of its kind) that may sell for a king’s ransom, or more usually, outfits that will reach a retail outlet in different sizes and colours .Fashion designing is influenced by cultural and social attitudes, and has varied over time and place. ◆ Those students who are interested in fashion designing must persue 10 + 2 from a recognized board with any stream and must obtained minimum 50 % aggregate marks . ◆ Students would have to pass entrance examination held by Institutes or colleges . ◆ After passing in entrance examination students would have to qualify in group discussion and interview .